Contact Us For The Best Roofing Contractors In Dallas, TX And The Area! If you’re looking for Dallas, TX roofing contractors who can perform roofing services with care and accuracy, look no further. 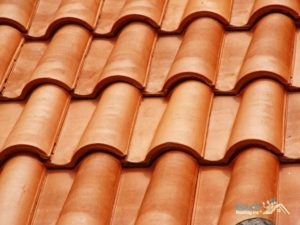 Our company provides the best roofers in the DFW area for both commercial and residential projects. No matter how small or extensive the project is, we can handle it quickly to help extend the life of your roof! Give us a call today for more information about our roofing services! No matter what type of roof your home or business has, we can fix it, maintain it and even install a new one! Our number one goal is customer satisfaction at our roofing company. We want our customers’ roofs to last as long as possible with the help of our services. On homes, we can work with shingles, concrete tiles, and even wood. For businesses, we’re experienced at every type of flat roof, including modified bitumen and TPO. One of our many specialties is storm damage repairs. If you’re seeing fallen shingles around your home or branches on your roof, you can call one of our roofing contractors to check out your roof and make sure there’s no damage. If there is, we’ll fix it. If your roof is badly damaged in a storm or otherwise, we will even provide help with insurance claims. We specialize in working with insurance adjusters to get you a fair price from your insurance company. After that, you’re free to choose whatever roofing company you prefer — no strings attached. As you can see from our impressive services, we are an exceptional company of Dallas, TX roofing contractors who can help you with any of your roofing needs. With our 24/7 roofing services, we can provide you help anytime. Our A+ rating with the Better Business Bureau proves that we have a proven track record of bringing the DFW area the very best roofing services. We even extend our services outside the DFW area to the state of Texas and even into Oklahoma and Louisiana! Don’t hesitate to give us a call today and let us get started on your roofing project! Updated on December 7, 2018 at 5:01 pm by Eclat Roofing.